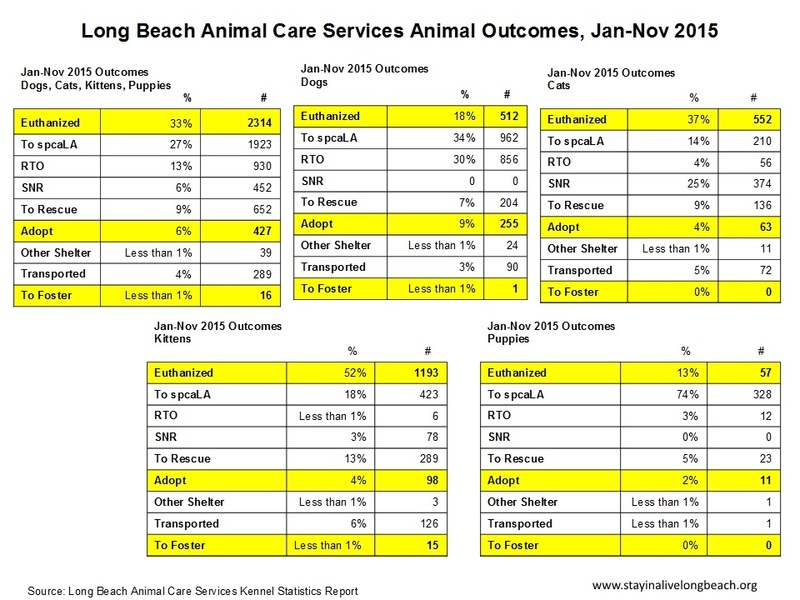 No Kill Long Beach obtains these numbers from Long Beach Animal Care Services. 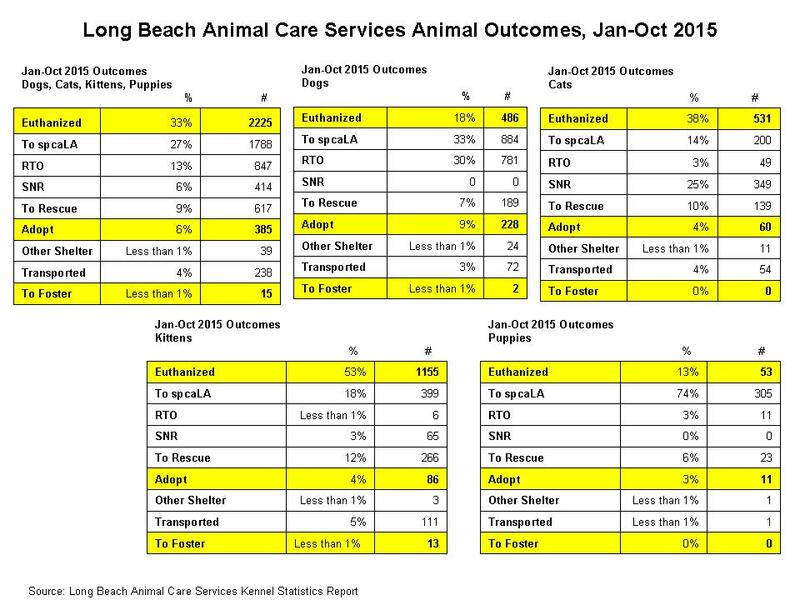 Long Beach Animal Care Services (LBACS) uses a database to track what happens to animals that come to the shelter. LBACS doesn't post the raw numbers anywhere for the public, so we have to request the info from them through the California Public Records Act. 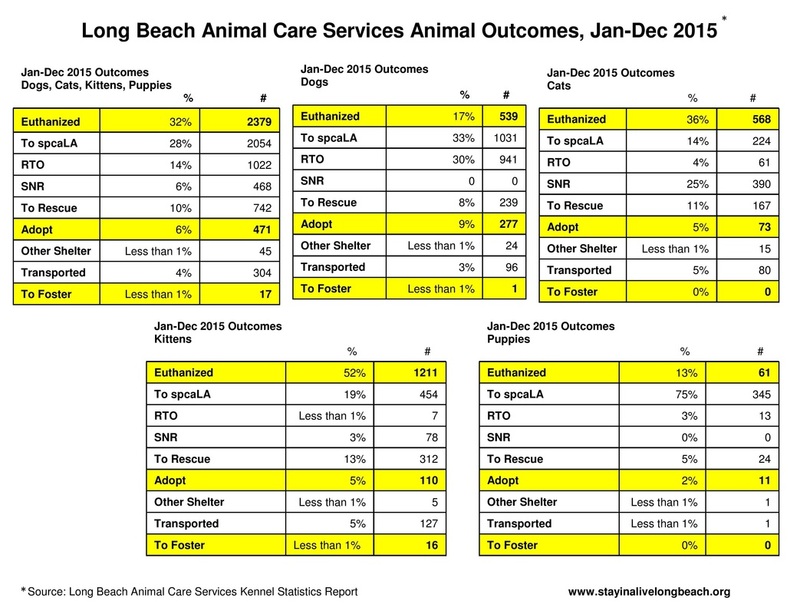 You can find the LBACS Kennel Statistics Reports for 2016-2018 here. 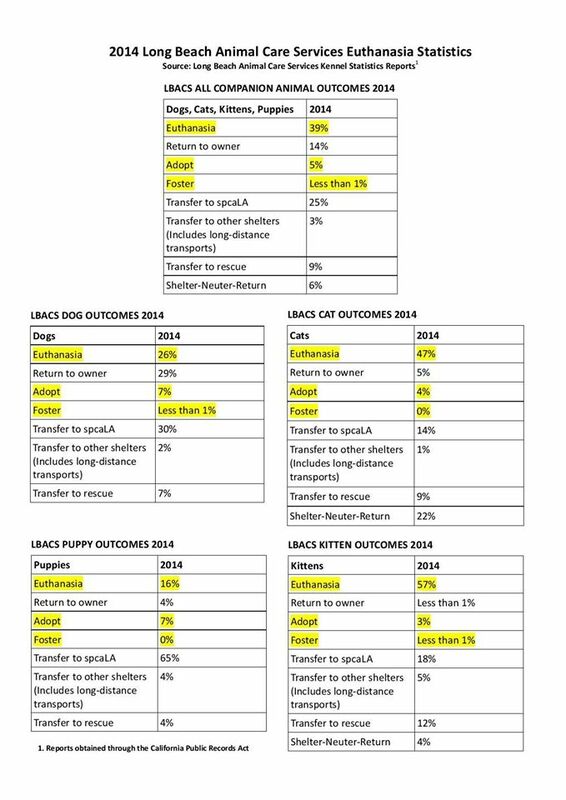 You can find the LBACS Kennel Statistics Report for 2016 here. You can find the raw numbers for 2015 as they were given to us by LBACS here. 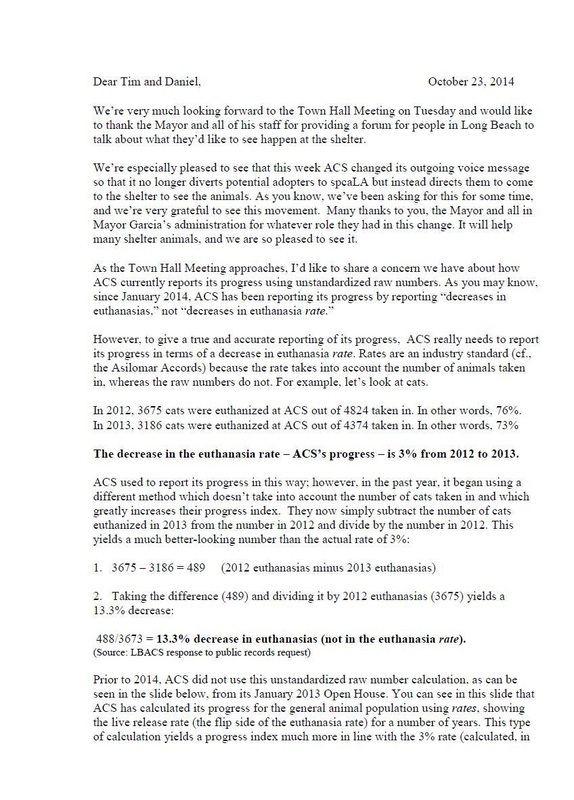 Read our letter to Mayor Garcia's staff regarding ACS's new method of calculating euthanasia decreases.